Bam! Emeril Lagasse Joins "Top Chef: Texas"
Chef Emeril Lagasse is headed to "Top Chef: Texas." 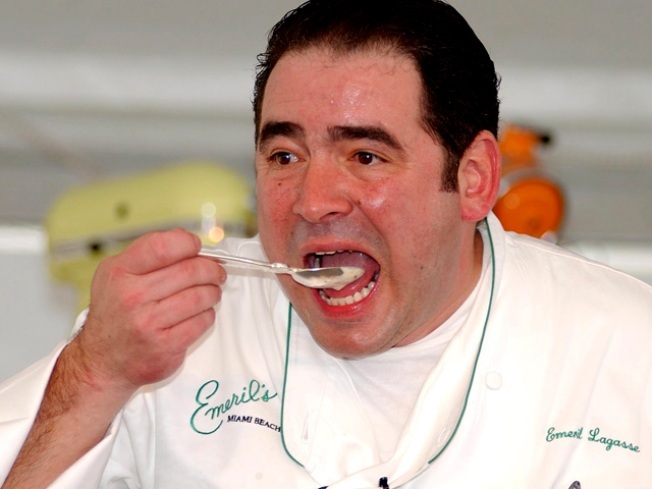 Emeril Lagasse is about to add some spice to Texas. The chef and restaurateur has joined the fold of "Top Chef" as the Bravo reality show heads to the great state of Texas for its upcoming season. Emeril will join head judge Tom Colicchio and food critic Gail Simmons on the panel, along with show host Padma Lakshmi. Season 9 of the show will focus on three cities throughout the upcoming season – Austin, Dallas and San Antonio. "Top Chef: Texas" will air later this fall on Bravo.